Food rich in calcium and vitamin D are necessary for bone strength and helpful in warding off painful conditions such as osteoporosis. Examples of these key foods include milk, yogurt, canned fish, and dark leafy greens. 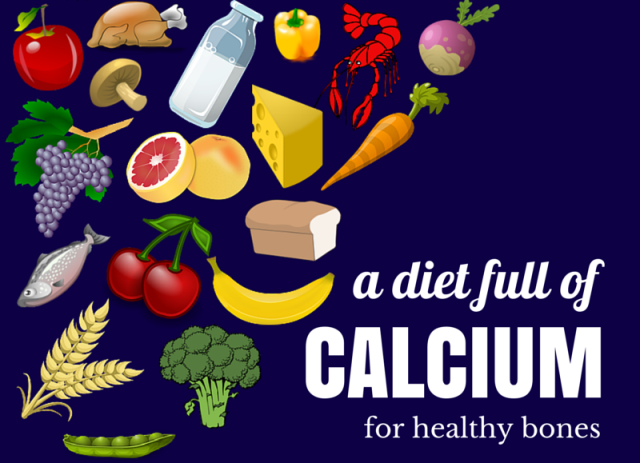 On the flip side, there are specific foods that can rob your body of calcium and diminish healthy bone density. Excess salt can lead to calcium loss and weaken bones. It pops up most commonly in processed and fast foods, but is also found in breads, cereals, and canned and frozen goods. Check labels and recipes for sodium content, and use it sparingly. Soft drinks, and other carbonated beverages, contain phosphoric acid which draws calcium from bones and increases its excretion in urine. Beverage options that are better choices include calcium and vitamin D-fortified juices, plain or chocolate milk, or flavored waters. While caffeine is widely believed to have some health benefits, it is also proven to deplete calcium from bones. Although tea has caffeine, it is considered less harmful than coffee, and contains plant compounds that may even protect bones. If trying to curb your caffeine intake, start by mixing half regular with half-decaf drinks, and adjust gradually. Soy products, such as edamame, tofu and tempeh, contain plant compounds that may inhibit calcium absorption. Practice moderation when consuming soy protein, and balance it out iwth a calcium supplement. Avoiding these foods, and adopting a diet full of calcium-rich dairy, whole grains, fruits, vegetables, and lean proteins, is the best way to strengthen bone density and boost bone health. And check with your doctor about taking a daily supplement.